One of the biggest challenges today’s educators face is engaging their students. Today’s generation is very tech-savvy; they spend a lot of time on their beloved mobile devices. More than 75 percent of teens own cell phones. 38 percent share something online that they created, such as artwork, photos, stories, or videos. Studies by NielsonWire found that teens averaged over 3,000 sent and received texts a month! So the obvious way to your students’ hearts is though mobile devises and other technology in the classroom. Offering students a more engaging learning experience and freeing teachers up to have more time for their students are just some of the ways classroom technology is transforming classrooms across the country. Peak students’ interests by using the classroom technology they love to keep them engaged and enthusiastic. Below are some great ways educators are engaging their students with mobile devices and technology in the classroom. 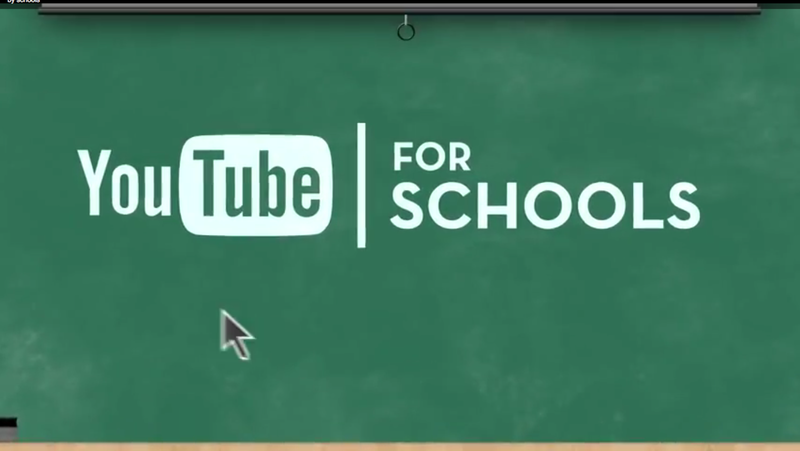 Youtube- It’s a great edu-tainment tool and kids love it. Sometimes words can only get you so far. Using video clips from YouTube teachers can for example, let their students see and hear a volcano erupting rather than just describing it. Using YouTube, students can get a much more complete picture than just looking at picture and reading out of a textbook. YouTube can really be a great tool to help educators reach the more visual and auditory learners, but it will also help them catch and keep the attention of all their students. Gaming- Okay, if you’re like me you’re thinking “video games will rot your brain”, well at least that’s what my parents told me. Well guess what; mom and dad were wrong on that one. 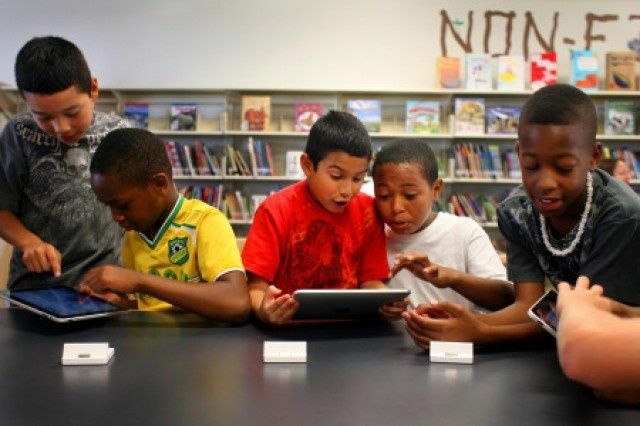 Studies have shown gaming in the classroom can increase students test scores. There are all sorts of educational games that students really enjoy playing. Students can compete with other students to reach different levels or achieve different goals. Online games can make great study tools as well. Making learning exciting can be a pretty tough task, but let them get into gaming every now and then during class or for studying or homework even, and you will see your student having more fun learning than ever. Multi-media assignments- Mix up your assignments and include things like multi-media presentations instead of just plain old essay writing. The word “essay” literally used to make me cringe. Nobody likes writing essays or long papers. Obviously they are necessary to building students writing skills, and I understand that, but they aren’t the only ways students can demonstrate what they have learned. Sometimes it’s good to mix things up.Letting your students’ embrace multi-media can many times better demonstrate what they have learned. Let your students create short films, podcasts, slideshows presentations, and even websites to communicate their points. You will not only have a much more engaged class, but they will actually enjoy their assignments and get to show off their creativity and skills. Plus multi-media assignments are great for sharing with the class so they can enjoy learning from each other. Wireless/online quizzes, polls, and comments-I was always the shy one in school so even if I had the right answer or a good point to make I wasn’t very likely to raise my hand to answer a question in front of the class. To get everyone engaged and heard a great way to do so is through using wireless devices for answering online, polls, quizzes, and posting comments or questions during the lesson. You can let all your students be heard and get a better understanding of how much they are actually retaining and learning throughout the lesson.I got my first taste of this in college. One of my classes was in the auditorium, so there was no way I was speaking up in front of an auditorium full of people. 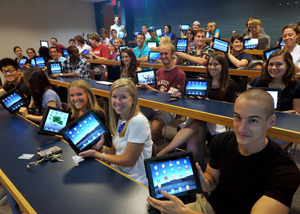 We all have wireless devices we logged into the beginning of class; that was the way our professor took attendance. Then throughout class our professor would ask questions via online polls and we would all answer them. Student could also post questions during class for the teacher to address. It was pretty cool and a great way to make sure everyone was engaged and listening even in an auditorium full of people. These are some great ways many educators can begin using technology in the classroom to engage their students. Better engaged student equals a better learning experience for everyone. If your school is ready to get your student excited about learning again using classroom technology, the first step begins with your wireless network. You need to make sure your school wireless network can support these mobile devices in class. We have experience with helping many schools all over the county with implementing BYOD (bring your own device) and 1:1 initiatives. If you have any questions or would like a free consultation we are glad to help, just contact us here. Good luck!